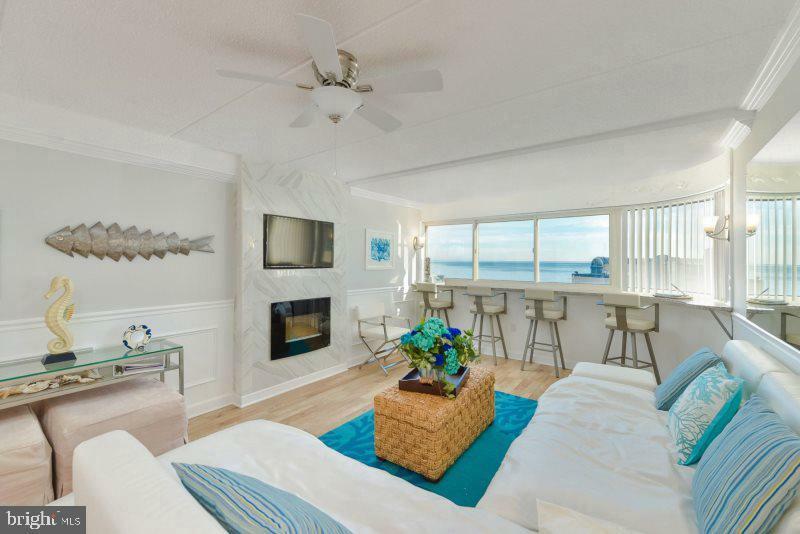 STUNNING REMODELED OCEANFRONT CONDO! Caring owners have meticulously remodeled this unit in 2015 which includes new kitchen cabinets, granite counters, stainless steel appliances, convection microwave, tankless water heater, wood laminate flooring, extensive crown & trim moldings, lighting, electric fireplace, built-in dressing closet, mounted smart TV, bathroom heat-lamp/fan combo, custom blinds, stylishly decorated and new washer/dryer in 2018. 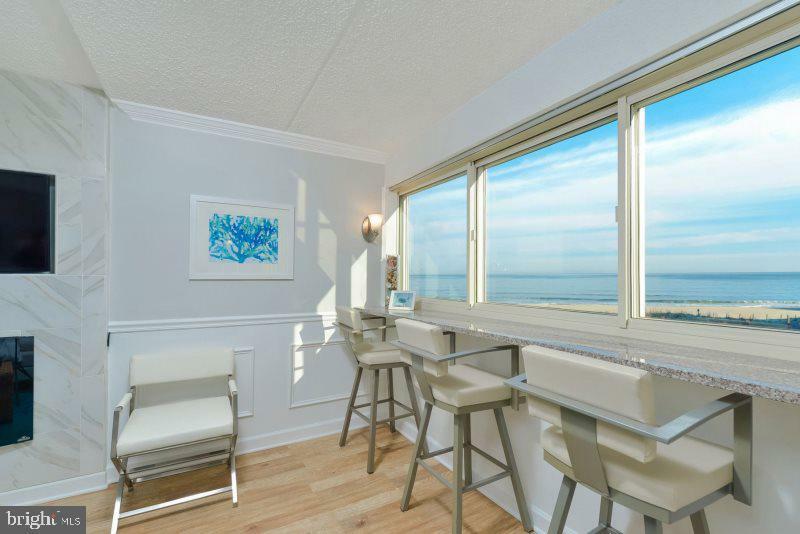 Another amazing feature is the curved granite breakfast bar that runs the length of the window so you can enjoy the beautiful panoramic ocean views while sitting on the Amisco swivel bar stools. 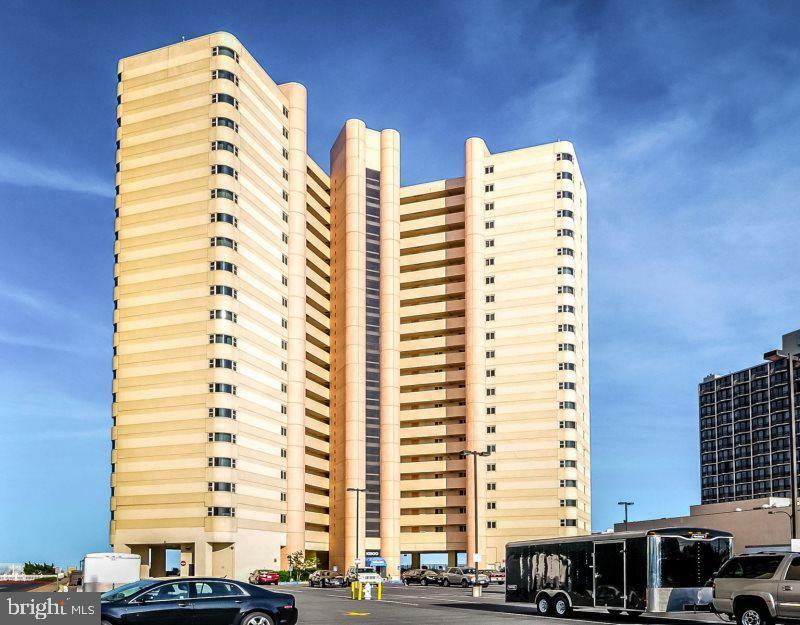 The Atlantis offers an outdoor pool, 3 elevators replaced in 2018, ground level bathrooms by the pool that were remodeled in 2018, parking lot, secured entry and satellite TV included in condo fee. Conveniently located at 103rd st and oceanfront, the Atlantis is located beside the Clarion Resort Fontainbleau which you can access the restaurant and beach bar & grill! This location is also close to other restaurants, grocery store, entertainment, shopping and much more! Fantastic rental grossed over $14K in 2018. 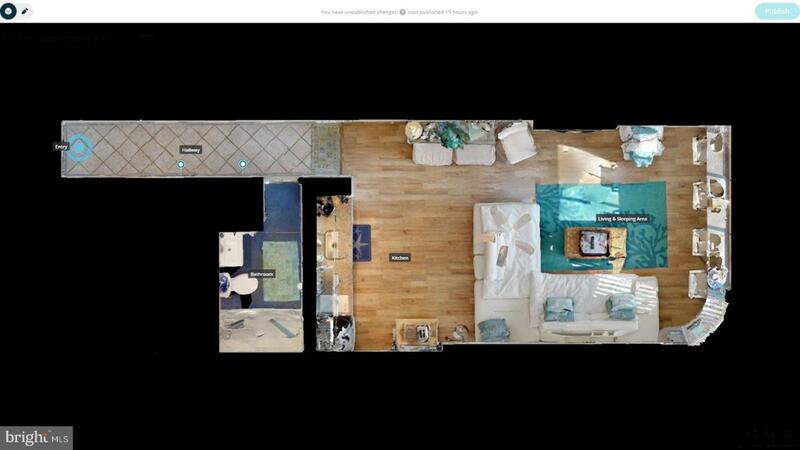 Come make this gorgeous condo all your own or continue to collect fabulous rental income!